Release of Protected Health Information (PHI) is strictly controlled by the Privacy Rule regulations of the Health Insurance Portability and Accountability Act (HIPAA). Many practices struggle with a solid process to fulfill record requests in compliance with HIPAA, while achieving efficiency and minimizing expense. Because the logging, retrieval and fulfillment of the request for records is not a service covered by the patient’s insurance benefits, many organizations are unclear how to charge patients, payers and other organizations for this important service. I recently met Matt Cottrell, the founder of 5 O’Clock Records, a free service that helps practices and other healthcare organizations handle medical record requests. Mary Pat: Tell us about the name of your company – 5 O’Clock Records. Matt: The name is a reference to the ease of our solution for medical practices. It improves medical record release so much that you leave at 5 o’clock! Mary Pat: Over the years I’ve experienced all aspects of in-sourcing and outsourcing paper and electronic medical record requests and fulfillment. Tell us what makes your concept and your company unique. Matt: For many years the only choices healthcare providers had for medical record release was to perform the functions in-house or hire a Release of Information (ROI) company. ROI companies are medical record copy services and work with larger practices and hospitals. They provide staff who copy and invoice medical records. They also usually keep all the record request fulfillment revenue. 5 O’Clock Records, on the other hand, is a first-of-its-kind medical records request platform and works with practices of every size. Our solution saves time and optimizes revenue for our provider customers. We help practices release paper or electronic records to requesters through an easy online platform that collects request information securely, handles customer IT support, charges, bills and collects all revenue from requesters BEFORE the record is released. We make sure every request is billed and collected properly. Nothing slips through the cracks. Next, we significantly improve staff efficiency. Calls for record requests drop from an average of 7 to 1 per request. Finally, revenues to practices increase from hundreds of extra dollars per month to thousands. We use our knowledge of state statutes and purchasing power of requester types. Our software calculates rates based on both variables, thereby maximizing collections to your practice. Mary Pat: We’ve come a long way with electronic medical records, but practices are at all different stages of EMR adoption, and not all practices are electronic. How does your system accommodate practices (and hospitals) regardless of their medical records platform? Matt: We are platform agnostic. If a practice still releases paper records (many do), our request platform does not require a change. If the practice is electronic we release electronically. In fact, we are in the process of integrating with several EMR and physician service vendors. We meet you where you are. Mary Pat: Traditionally, medical record requests have been problematic for medical practices. As rules change, it is unclear to most what medical records fulfillments are chargeable and which are not. How does 5 O’Clock simplify this? 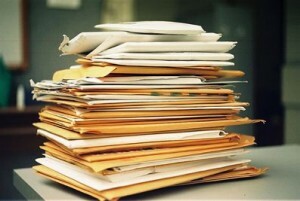 Rules of medical record fulfillment change regularly. If your practice is not up on the latest you could be releasing records without charging where you could be or charging where you shouldn’t. All of this creates more work to correct issues that shouldn’t have happened. 5 O’Clock works with each practice to establish rules. Here’s one of many examples: In some states, practices are required to provide patients with one free copy of their medical record per year. Are you tracking this? Additionally some practices elect not to charge patients for copies of records as a rule. Does your practice charge patients? It was very uncommon a few years ago, but now almost all practices do. If you don’t wish to charge patients, our software won’t. If you do, we will. 5 O’Clock Records also tracks changes in chargeable rates nationwide and updates its software routinely to reflect these. For example, many providers are still unaware that New York doubled its reimbursement rates last year. Our customers automatically capture this revenue. Mary Pat: Is there a standard release of medical records form that all practices should be using, regardless of whether they use help in medical record request fulfillment? Matt: Most HIPAA release forms are fairly standard. Each practice decides which requirements its form should contain. On our platform, requesters upload a signed release form or court order at the time of the request. Practice staff review an image of the releasing document and either approves or denies it, maintaining control over the release process. NOTE: Manage My Practice has a free Authorization for Release of Protected Health Information form available at the link below. Mary Pat: I’ve had Medicare Replacement Plans request what I thought was an unreasonable number of records for their annual risk adjustment audits. How does a practice know when payer audits are unreasonable and when payers should reimburse the practice for resources to produce the records? Matt: Medicare replacement plans and other major payers often budget fees for copies of records without communicating these to the practices. They also commonly hire third-party record retrieval companies (e.g. EMSI, MediConnect) to obtain copies of records. I should know – I founded and sold one! These third party firms routinely work to obtain free records as they’re reimbursed via a flat fee per request; paying copy fees to providers shrinks their margins. Knowing when to push back on fees is an area where we routinely help practices. Doing so increases revenue to your practice and helps you maintain a firm footing with payers. Mary Pat: If a practice does not have an easy way to log disclosures per HIPAA requirements, does your software provide a log? Matt: The 5 O’Clock Records platform makes and keeps a permanent log for Accounting of Disclosures purposes. It tracks who is making the request, the purpose of the request, date and time of service, etc. It even maintains a permanent image of the authorizing documentation. Ultimately, we want our providers to relax when the HIPAA police come around! Matt: I see on your site that you offer a free practice assessment – what does that entail? Matt: Our provider advocacy team takes a look at the practice’s current record release processes to determine how they can be improved. We offer practical advice to improve performance, and give practices a later opportunity to check out our free platform. Mary Pat: What do you see as the future of medical record request fulfillment? Do you think medical records will be released through a Health Information Exchange (HIX) as opposed to through the medical practice or hospital itself? Matt: The future of medical record request fulfillment will be robust. Insurance companies, law firms, patients and others will continue to require copies of medical records in increasing numbers. Because of this it’s important for practices to partner with companies that understand the in’s and out’s of the industry, and have your interest in mind. Regarding Health Information Exchanges: while it’s doubtful commercial requesters will access records through an Exchange, it’s possible within the next few years that a treating practice may request patient records through an exchange. Mary Pat: What is the process for signing up for your free service and how long does it take? Matt: Signing up is so simple! It takes all of 5 minutes. Go to our website here. Watch our awesome 2 minute video and click on the Doctor Sign Up Free button at the bottom of the page. One of our crack staff members will contact you and train your medical records staff member(s). Training takes 15-20 minutes. Our solution is so simple that the most difficult part of it is to remember to redirect all incoming requests to our platform. That’s it! Disclosure: Manage My Practice receives no payment for publishing interviews with companies we think have something good to offer our readers.